The third entry in the Bit.Trip Runner series includes vehicle sections, quests that unlock new characters, and more. The wait is over! 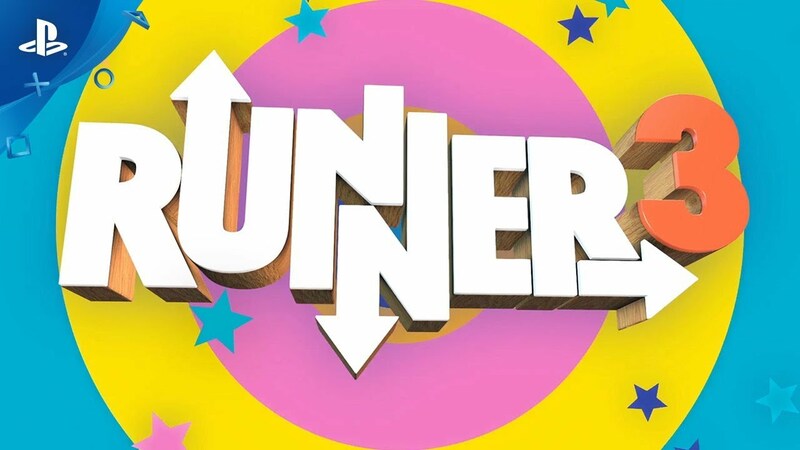 Runner3, the third entry in the Bit.Trip Runner series, is coming to PS4 on November 13. The game will retail for $19.99, with a planned 50% discount for the first two weeks of release to celebrate our 10th anniversary as a company! For the uninitiated, the Bit.Trip Runner games are rhythm-music auto-runners with a heavy emphasis on the “rhythm-music” element. Every action your character performs in the game has a sound associated with it, and these sounds contribute to the music as you play the game. You’re instrumental (pun intended) to creating the game’s soundtrack! Runner3 has proven to be a very special game for our studio, thanks in large part to our very vocal (and very helpful!) fanbase. They’ve been generous enough to share their thoughts with us from day one of development, and their input has proven invaluable. We feel confident the finished product lives up to and honors their expectations for the game. Those of you who played the first two Runner games are in for quite a few new additions this go-around. There are branching paths in every level, vehicle sections (an eggplant airplane somehow being the normalest of them), quests that unlock new characters, an item shop, new Retro Challenges, and more Charles Martinet dialog than your ears will know what to do with. It’s the ultimate Runner experience, and no doubt CommanderVideo and friends’ greatest adventure yet. Oh, and Unkle Dill is returning. He wanted us to make sure we told you that. 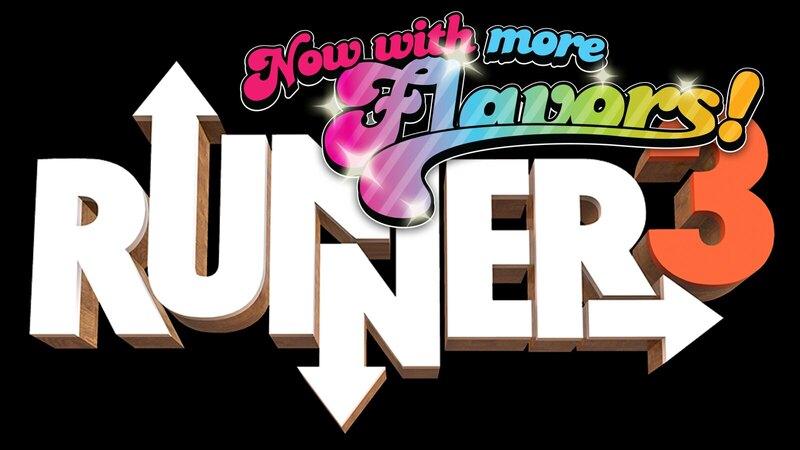 Now, understandably, you may think you know all there is to know about Runner3. We get it. But do us a favor, if you will, and shed all of that knowledge before reading on. We have a lot to say about this game that we haven’t said before, so buckle up. 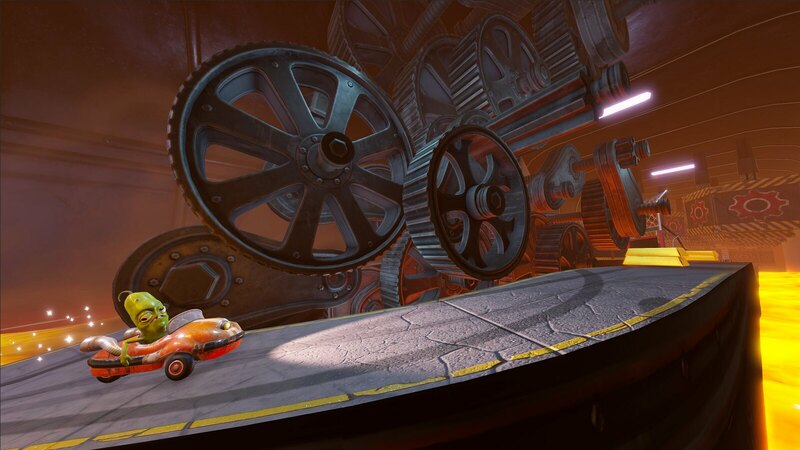 When Runner3 first launched, some people mentioned they missed the difficulty options from Runner2. This made a lot of sense to us, which is why we’ve worked to make sure they’re included from here on out. And you can get real granular with them, including toggling enemy density, adding more checkpoints to levels, and getting assistance with perhaps the most treacherous villain in all of Runner history: The Stairs. 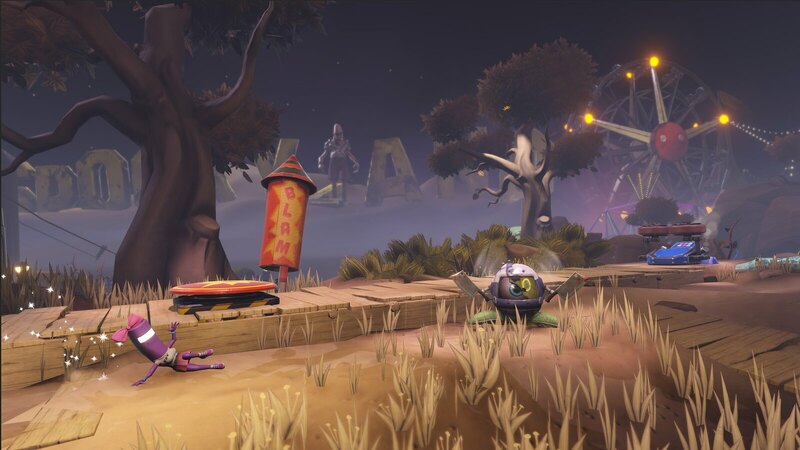 Players have also requested the ability to “self-bonk” in the game, and who are we to say no? If you’re going for a perfect run in a level and miss a gold bar or a gem, briefly press L3 and R3 and voila. A bonking of your own creation. All character moves are available from the start of the game – You can double-jump to your heart’s content! Made the jump and avoid enemies/obstacles more forgiving – We love tinkering with hitboxes over here. We’re cuckoo bananas for it. Added a “break” sound effect to kickwalls in addition to their musical tone – We received more requests for this than just about anything else. We were happy to oblige. We hope you’re ready for the Commanders’ latest and greatest journey. It was a lot of work bringing it to life, but it was also a lot of fun. We think you’ll get a very good sense of that when you play it, so brace yourselves for the game’s November 13 release. And, as always, feel free to ask us any questions you have in the comments! I liked the last two, so yeah, I wouldn’t mind another go at the series. So glad to hear it! If you liked the first two you’re going to love the third one! Cannot believe it!! !…Runner 2 is one of the best PSN games,had a blast playing it and even got the Retro Commander costume.This is a must-buy for me…thank you for making it happen.Hold on though…made the game more forgiving?…I wonder how much,60% of why Runner 2 was so great was the challenge to triple perfect the lvls. PS to the Blog:Finally was able to login after 2+ weeks,damn y’all need to work on this…why I can login on the PS official site but not here on the Blog?…it makes no damn sense. Worry not! Runner3 is definitely a challenging game. What we really mean is that the player now has the ability to adjust the difficulty settings to their particular tastes. 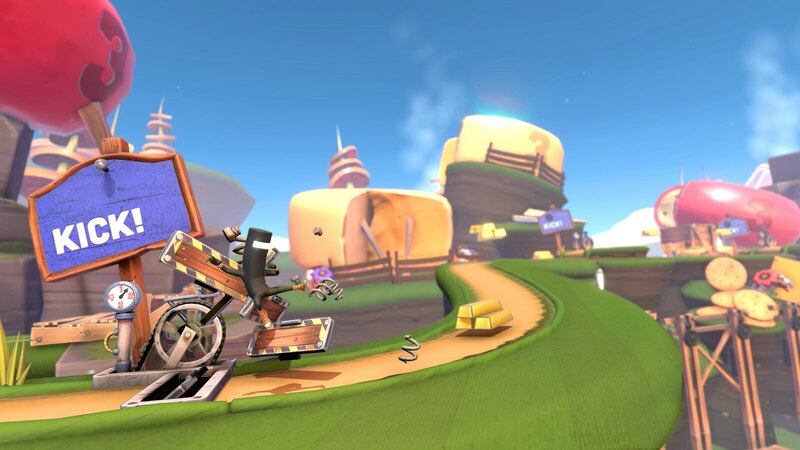 This game can be much harder than Runner2 if you want it to be! Can’t wait to see what you guys do with the new Busby game. I wish you luck. FINALLY! i loved every bit of Runner2 and i was really excited when Runner3 was announced. Any idea when its available for pre-order? Cant wait to get my hands on it <3. No pre-order, we’re afraid, but the game is out tomorrow! Will we see the discount in the UK? We haven’t had a blog post about it. Our blog team is literally 1 man that only posts when his mum lets him out. YES! I’m excited. I would preorder if I could! Can’t wait. Now I know why there was no reply. It isn’t coming to the UK. I am sick of this, time to open a US account. Yippee! When does this bloody store refresh? What happened to the 50% discount? It’s showing up on the US store as $19.99. Yep it was up at full price and now its gone, hopefully to get fixed. Where can I purchase this game?